Every product you receive from a supplier must have a status before it can move to the next step in its journey (to the warehouse, out to another customer, etc.) 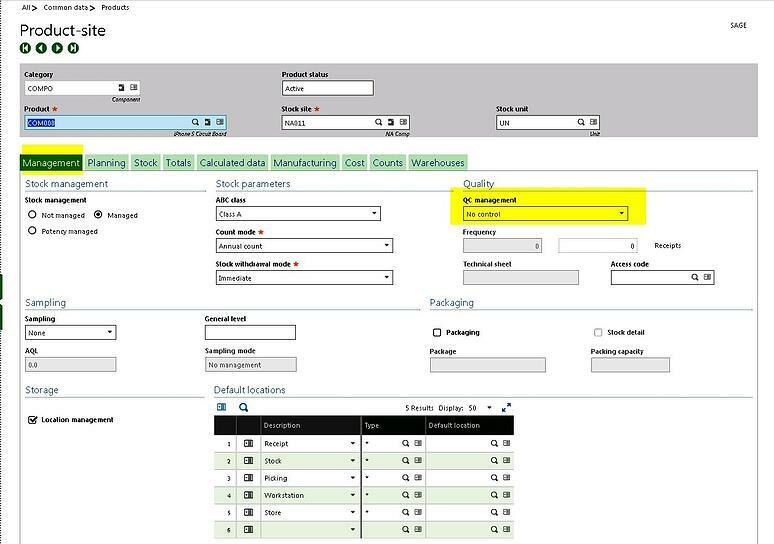 Sage Enterprise Management (Sage X3) makes this process easy, allowing your received products to move on more quickly and allowing you to accept multiple shipments in a shorter amount of time. How a product is assigned a status upon its receipt is determined by many factors. The hierarchy goes from the generic to the specific - Stock Management Rules - Product Category - Product Site - Product. 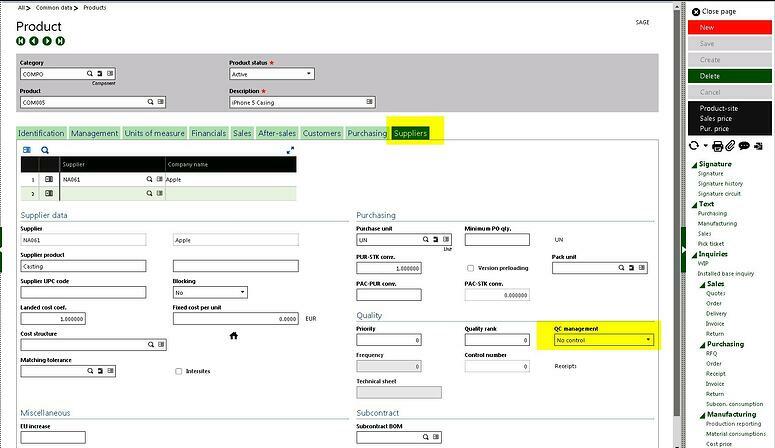 Here's how to assign a product status in Sage Enterprise Management. You can set the authorized statuses, sub-statuses, and the default status for each movement type of receipt. As with the stock management rules, this setup narrows down how the assignment is conducted on a product category level. No Control – control is defined according to the management rules, but it can be modified manually. Non-changeable Control – the quality control is mandatory in stock receipt; only a ‘Q’ status can be entered. Periodic Control – the control is automated according to the number of receipts for this supplier and this product. The stock status can be modified upon receipt. A supplier can be set to have their products received with a status of ‘Q,’ based on the selection in the QC Management field. To learn more about assigning product statuses upon their receipt, or to learn more about what Sage Enterprise Management has to offer your business, please contact us today.